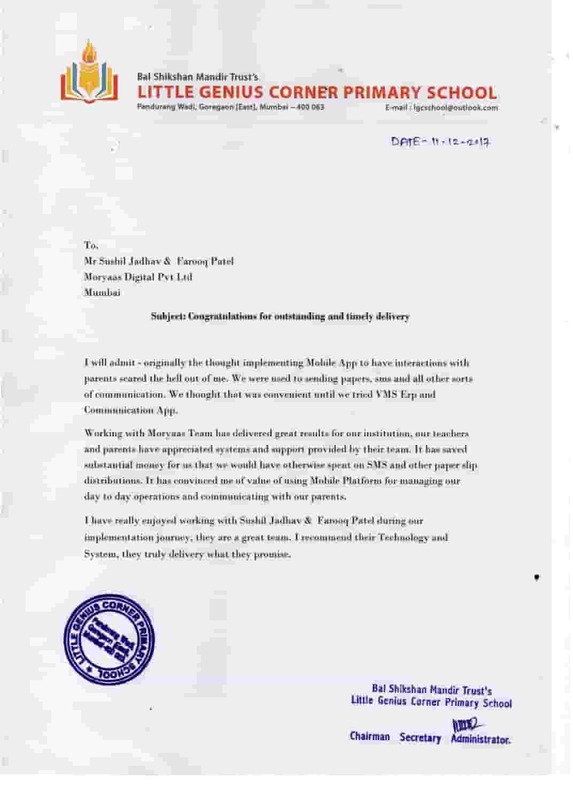 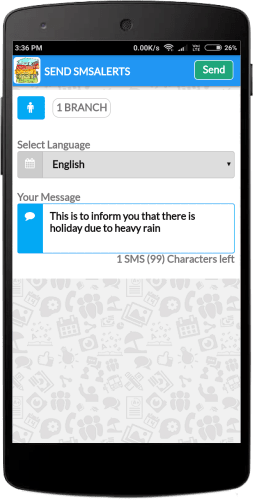 Today SMS is widely used medium for communication and a channel to provide value added services. 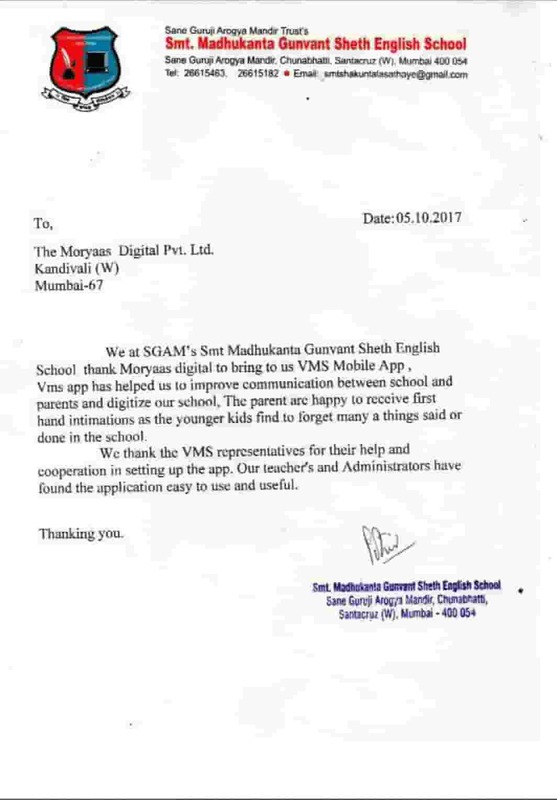 VMS developed SMS alert system for schools which is one of the most economical methods of sending information to as many recipients: students, teachers or parents, as quickly as possible. Festival and Holidays can be sent from school. 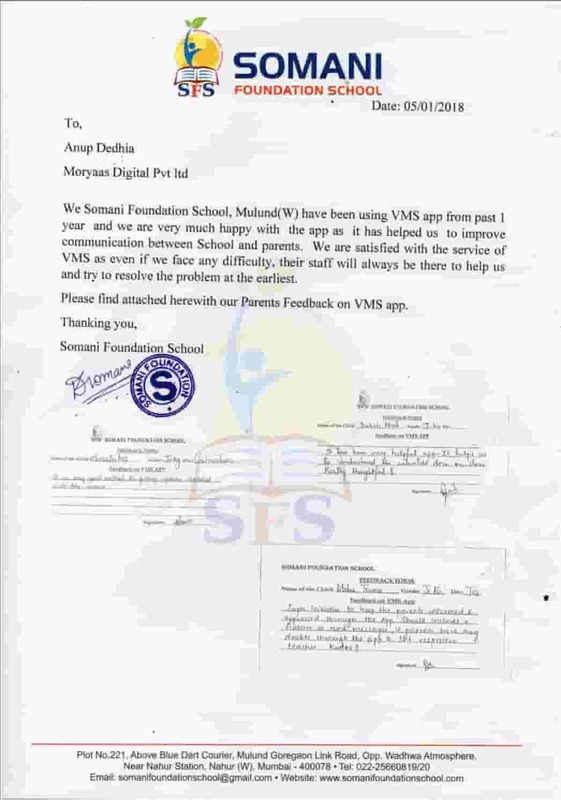 Receive Real-time Alerts from School. 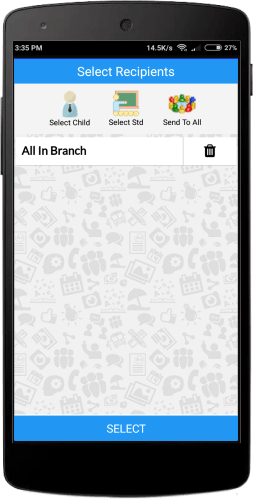 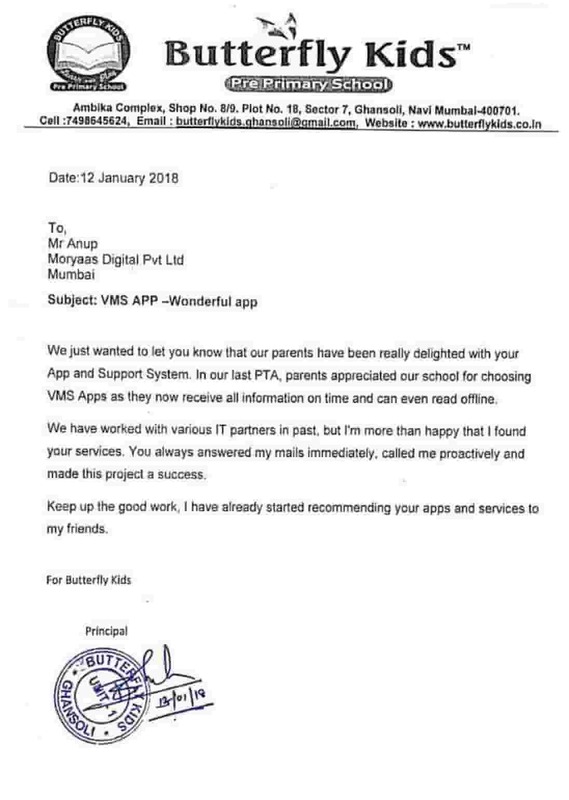 Receive Notifications regarding actvities in School. 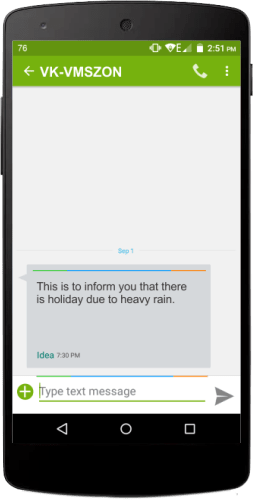 Send Real-time Alerts and Notifications to parents.